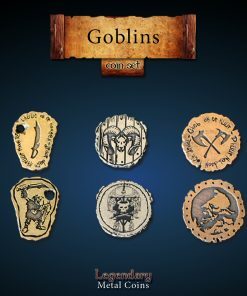 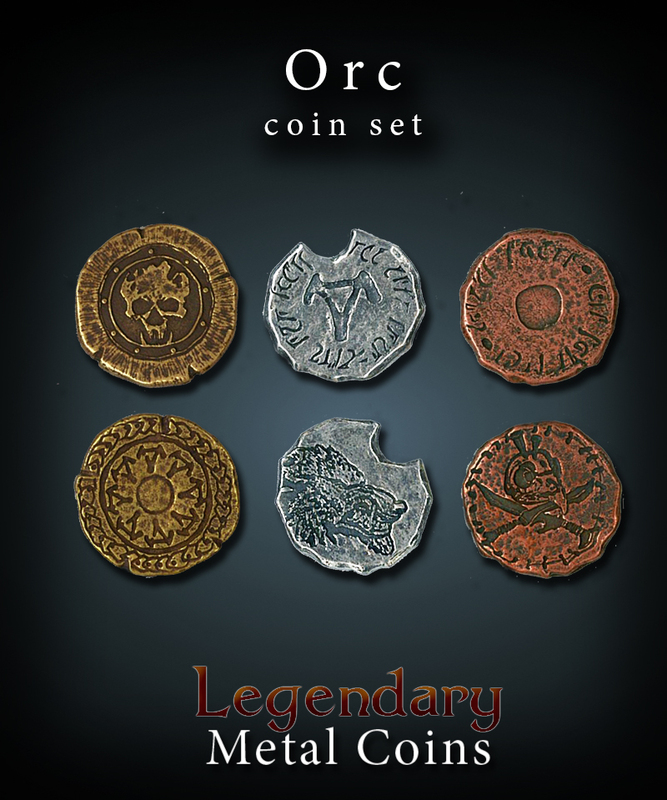 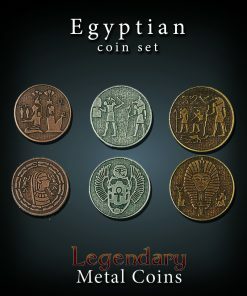  The Orc Set of the Legendary Metal Coins Collection of Drawlab Entertainment is suited especially for fantasy games and inspired from the Orc lore. 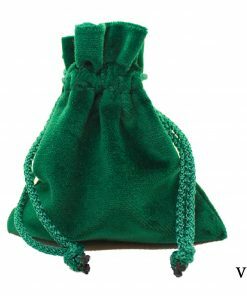 Suited especially for fantasy games and inspired from the Orc lore. 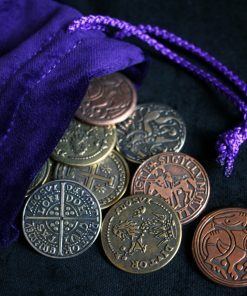 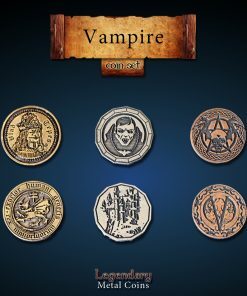 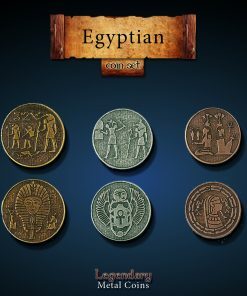 Have the best currency for your games or the best and heaviest tokens! 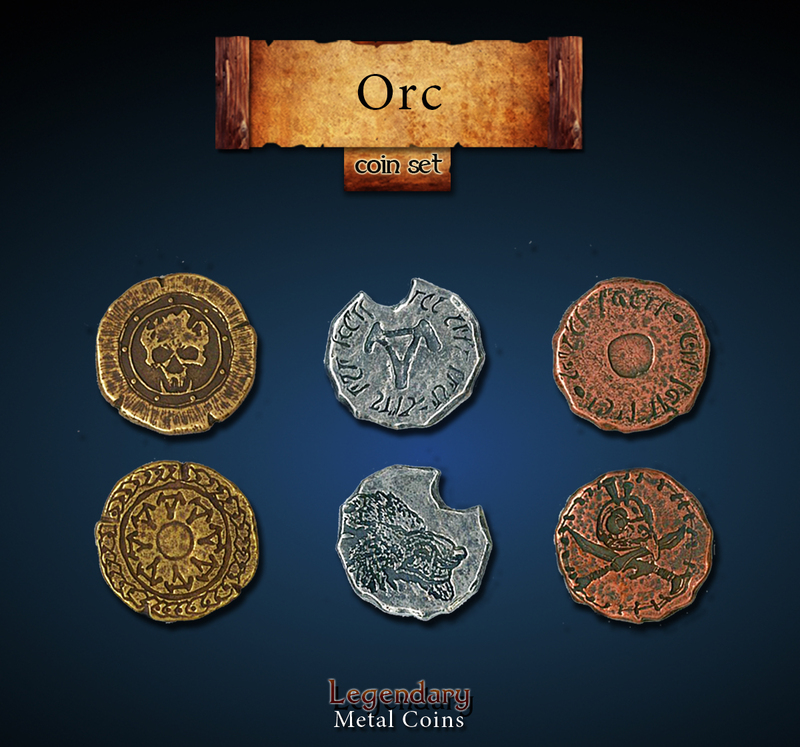 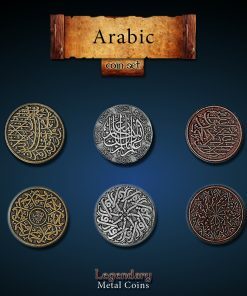 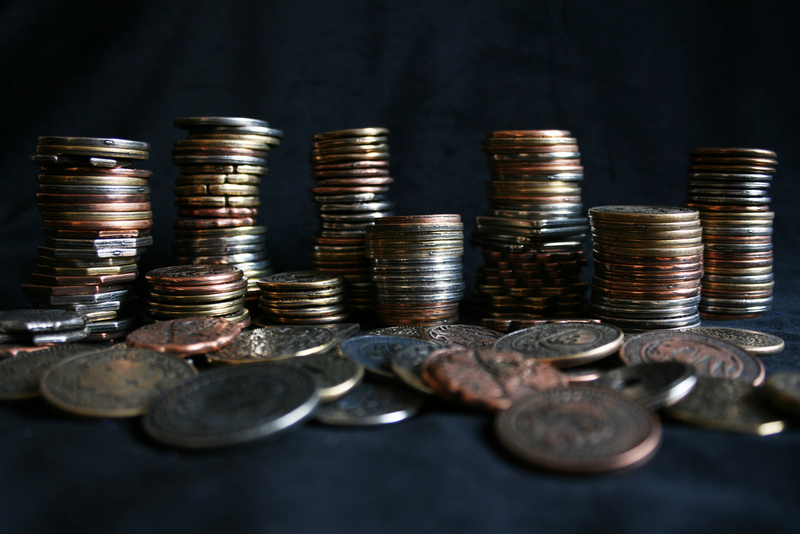 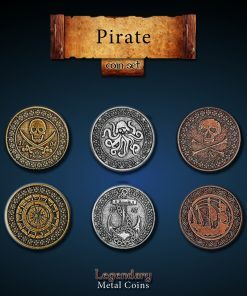 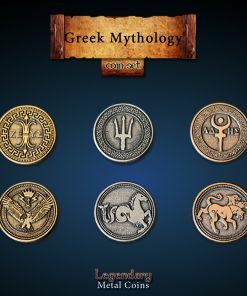 The material used in all coins is Zinc alloy, the Orc coins are 2.8 mm thick, while their diameter is 3.44 cm wide. 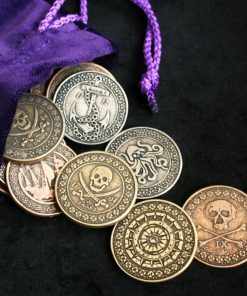 Designs were made by Michael Kontraros. 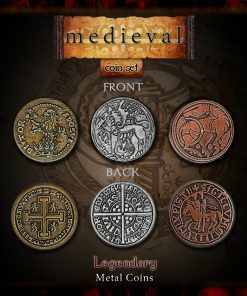 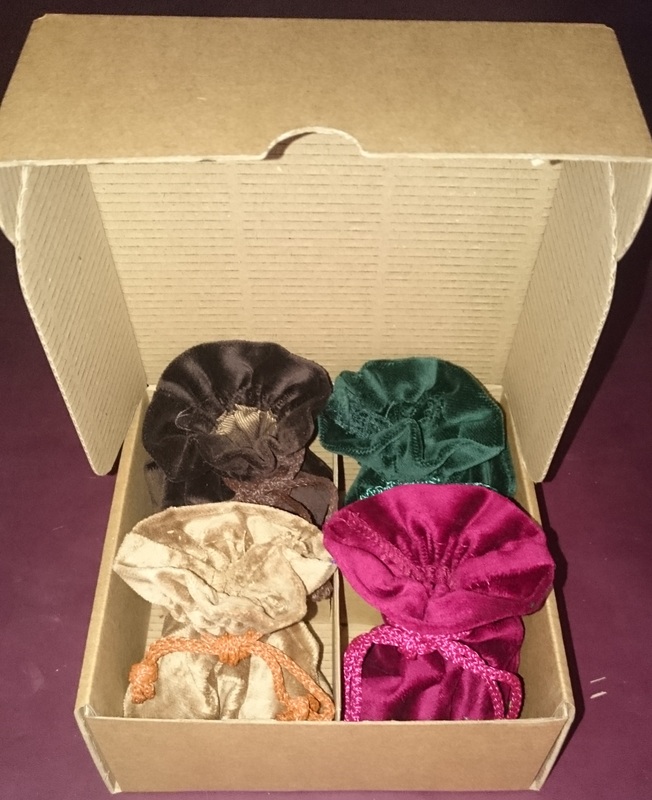 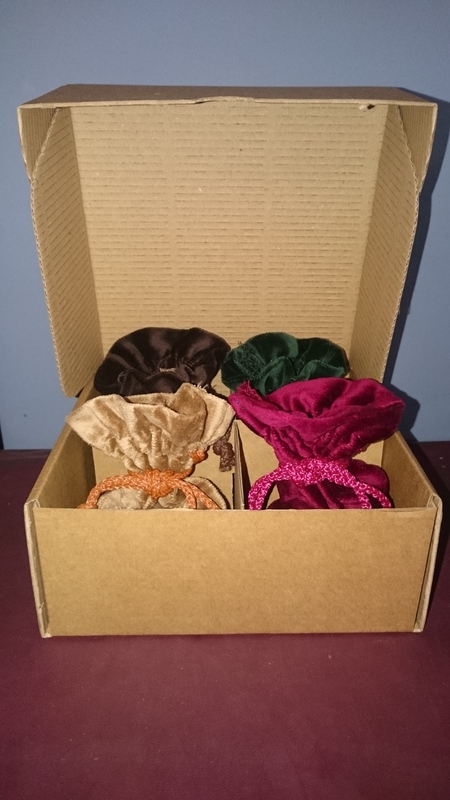 All coins are going to be shipped from UK, in a well-protected cardboard box, with tracking number.